When shopping for an electric toothbrush, Philips Sonicare and Braun Oral B instantly come to mind. These brands offer outstanding entry-level electric toothbrushes for a fair price. However, the lower-priced models don’t include the bells and whistles the higher end models offer, and these toothbrushes can easily cost over $100. If you’re looking for a feature-packed electric toothbrush that doesn’t carry a name brand premium, this $49.99 Platinum Sonic toothbrush is for you. The Platinum Sonic’s most obvious benefit is its ability to deliver 40,000 brush strokes per minute, which can clean your teeth far better than an ordinary toothbrush can. However, it also offers a two-minute smart auto-timer to help you track whether you’ve brushed your teeth for an adequate amount of time. Additionally, the battery lasts up to two weeks off a single charge; paired with the charging travel case, the Platinum Sonic is ideal for use at home and on the go. 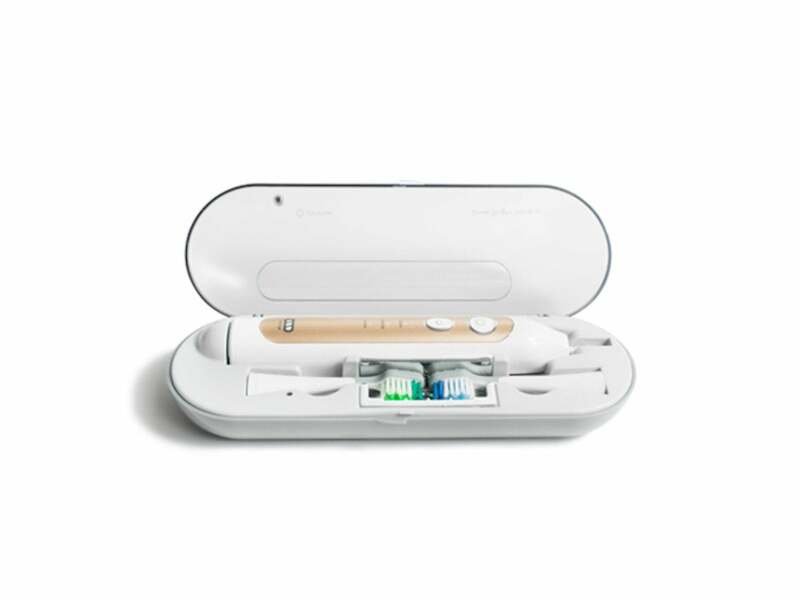 Finally, what sets this toothbrush apart from Sonicare and Oral B offerings is the travel case’s UV sanitization, which kills 99% of bacteria and germs that would otherwise form when your toothbrush isn’t in use. If you’re looking for a high-quality electric toothbrush that won’t break the bank, you can buy the Platinum Sonic in gold or charcoal for $49.99 in the Macworld Shop, or 80% off.